Battersea Dogs Home has a long history of caring for dogs which have been abandoned or whose owners are unable to cope. Battersea has also seen a rise in Japanese and American Akitas. These awe-inspiring dogs were originally used as hunters in Japan and are thus not always very tolerant of other dogs. Areas with plenty of space and a low dog population are thus perfect for them. This month, the dogs needing immediate housing are Flash and Forest. Flash is a lovely older boy looking for a country home where he can live an active lifestyle. 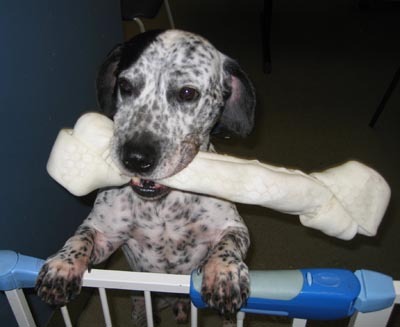 Flash can be obsessive about toys, so he will need to be the only dog in his new home. He is looking for firm but fair owners who have experience of owning a dog before and will be calm, patient and non-confrontational with him. He will not be able to live with children as he will need consistency in his training. He may struggle at first with being left alone so his new owners should build up to leaving him. 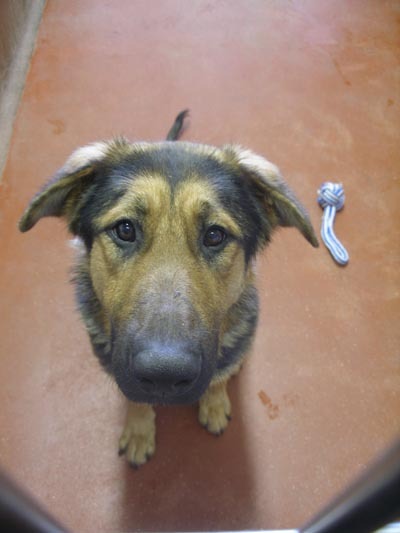 Poor Flash finds life in kennels very difficult, and all he wants is a loving home and a chance for happiness. He is a wonderful, friendly dog who will make a loyal companion, and he becomes more and more responsive to people as he bonds with them. Forest is a young and lively boy looking for a loving and caring home to call his own. He is a goofy, soppy, gentle giant who loves to play, and has no idea how big he is. Forest is looking for patient owners with experience of owning dogs (preferably German Shepherd Dogs) to train him in all the basics. He needs a rural home with more than one carer but without any children. Forest could live with another dog, preferably an older female who will be a good role model for him. He has a minor hip problem which will need to be monitored as he grows older, but this does not affect his mobility or quality of life. Forest is a wonderful fun dog who really loves life and will make a fabulous companion for the right owners. If you are interested in learning more about Forest then call Battersea Dogs & Cats Home on 020 7627 9234.